Classes start next week to prepare for the March 9th SAT! Registration is required. Please call 201-847-8676 to enroll. Not taking the SAT this time around? Check the spring SAT and ACT class schedule now! One of the questions I get asked most often is what is BLAST and how does it work? 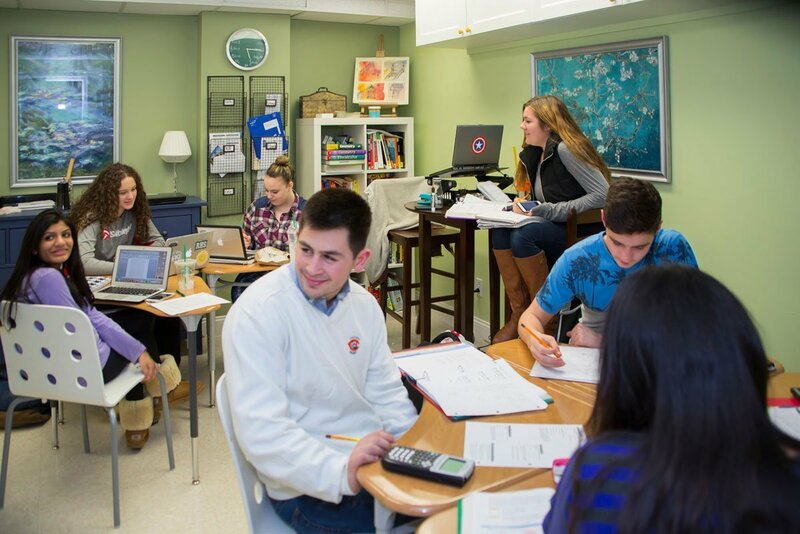 BLAST stands for Brainstorm Learning and Arts Small group Tutoring, a program in which we provide academic mentoring for various subjects for students in grades 5-12 at our center in Franklin Lakes. The BLAST program encourages and helps students who may be struggling in one or more academic subjects as well as those students who are looking for an overall improvement in grades and test scores. We have specialized academic mentors who can help with math, reading comprehension, science, organizational skills, writing skills, and standardized tests (SAT/ACT, AP, COOP). The BLAST program works just like a gym membership, but instead of working with trainers who work out your body, you work with mentors who will work out your mind. We offer monthly and year-long memberships. Once your membership begins, you can come to the center any day we are open for as long as you would like. BLAST takes place every Monday, Tuesday, Thursday, and Sunday. Every day starts with Study Zone and ends with Mentor Access. Study Zone is the first hour of BLAST and is when students can work independently or work with our coordinator to get organized. Mentor Access begins immediately after Study Zone and is when students can meet with our tutors and work on homework or projects, prepare for tests and quizzes, and work on study skills. Before you begin your BLAST membership, we schedule a time when the director will sit down with you and your student to discuss both short and long-term goals and set a plan to achieve those goals. Our open communication continues throughout your entire membership; when your student works at the center, you will receive a detailed note from each tutor your student spends time with. We encourage our students to work hard, storm tests, and enjoy learning in a comfortable environment. We help our students become independent learners, get organized, get through test anxiety, and so much more. There is more to tutoring than learning material from a book! Call 201-84-STORM now to register for BLAST!